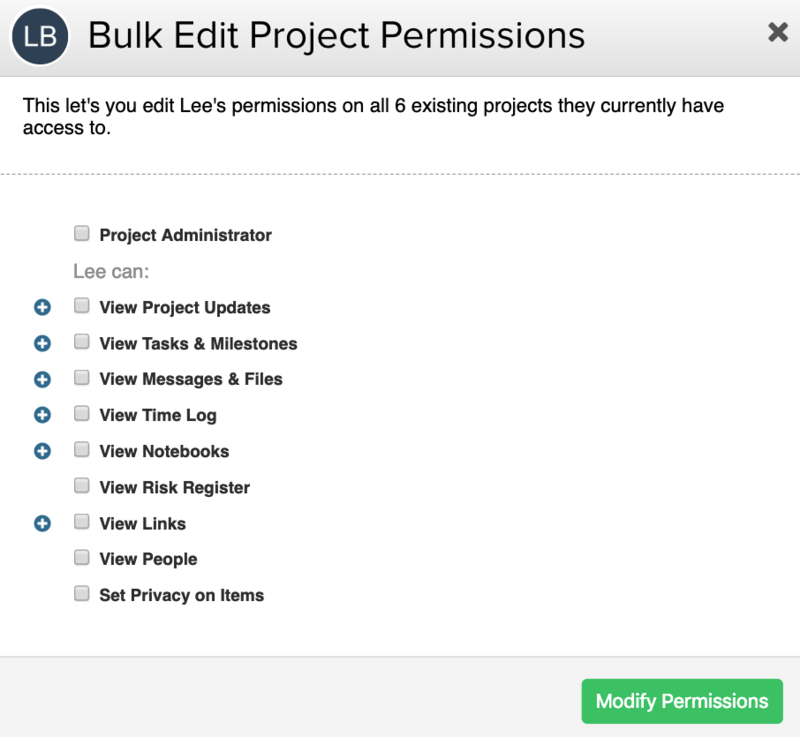 Within Teamwork Projects, you can bulk set a user's project permissions across all of their projects. Go to the People section at the top of your site. From the list of people, click the name of the user you want to update, to view their profile. Once you are looking at the user's profile, click the three dots button in the upper right corner of the screen and choose Bulk Set Permissions from the dropdown menu. You will then be shown the project permission options that you can set for all projects that user has access to. Clicking the + to the left of some of the permissions will expand it to show more options. Note: The bulk permissions modal will always have all options unchecked by default. It is not intended to retain previous bulk selections. While editing a user's permissions on an individual project, there is also the option to copy these permissions to all project projects they have access to.